The UK Infantile Spasms Trust (UKIST) was established in 2017, and provides vital support to families with children affected by the rare seizure disorder infantile spasms (IS), also known as West syndrome. The charity offers a lifeline to anxious parents via its online community, and works alongside medical professionals to raise awareness of this little known condition. Children diagnosed with IS will typically endure a barrage of tests and treatment before they are even one year old. That’s why at UKIST, we call them warriors – and we believe that every warrior deserves an army behind them. If you're worried about infantile spasms, or suspect your child may be experiencing IS seizures, try to capture them on film and go to your nearest children’s A&E department. For less urgent advice and support, you can also find help through our Facebook support group – you’ll just need to complete a few details about yourself and submit a request to join. We’re working to improve awareness of the symptoms of infantile spasms amongst the medical profession and the public - because early diagnosis is key. We provide a vital network of support to parents and carers with children affected by infantile spasms - with several online communities. The more we know, the more we can do, so we’re also supporting the advancement of clinical research into infantile spasms - our news has more on research that UKIST has funded. 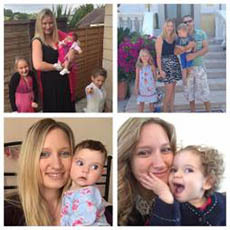 I’m Samia, I live in Somerset with my husband Steve and three daughters, Evie, Poppy and Jorgie. Jorgie was diagnosed at six months with infantile spasms and we fought for a very long time to get seizure control. We were very lucky to have been part of MAISEY which is multi agency support and had access to Portage, Physio, and SALT to help get Jorgie heading in the right direction. She is currently seizure free and working really hard at catching up with her peers, she is very cheeky and lights up the lives of all around her. When Jorgie was first diagnosed I raised money tirelessly for Epilepsy Research because there was no infantile spasms charity available (and I moaned about this year in and year out, because IS is not just epilepsy, when left untreated or misdiagnosed it can cause lifelong damage). Out of joint frustrations with other parents in IS forums, the idea of having our own was born and here we are today, in a position to now not only help and support parents in our group but to raise money to make that support and awareness even better. In our first year we have been able to raise enough money to support families through grants for equipment where they really need it - it is one of the proudest things I have ever achieved. I love each and every one of our UKIST family. 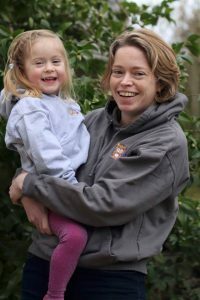 I’m Amy, mum of three and my youngest, Maia, was diagnosed with Infantile Spasms at 5 months old. Her development was on track prior to the onset of the seizures but she regressed to a newborn state very quickly. She stopped fixing and following with her eyes and lost the ability to roll. We treated her with Prednisolone (steroid) and Vigabatrin (Sabril – an AED) and luckily got control within about 3weeks, after a few relapses and needing to max out the dosage on both medications. Whilst in hospital, it was very clear how little information was available to parents and how rare the condition is, judging by the amount of medical staff who had never seen it before. We were lucky to have a brilliant neurologist and epilepsy nurse who kept a close eye on her throughout. On steroids, Maia didn’t smile or babble for six long weeks and it broke my heart. The relief when she ‘came back’ to me was immense. Maia is happily seizure free at 21 months and her development is on track and advanced in most areas. We are very lucky and my biggest wish is to be able to give back by supporting other families through the process. I’m so proud to be a part of an incredible team. Hi everyone. 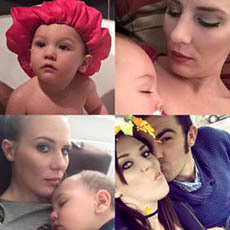 I’m Jenny, mum to two boys and my daughter Faith, who was diagnosed with infantile spasms in January 2015 when she was seven months old. We were very fortunate to have doctors within our family circle who recognised what was happening in our video footage of Faith’s spasms and advised us to take her straight to A&E. Our local hospital is Bristol Royal Hospital for Children who have been part of the two big recent studies of IS (UKISS and ICISS) and who gave us excellent care. Faith responded well to treatment with high dose steroids and has now been seizure free for nearly four years. She lost about six months worth of skills to the combination of IS and the tough treatment, but has since made great progress with the help of Little Treasures, Portage, Rainbows and Snowdrop for Brain Injured Children. Despite extensive testing, no underlying cause has been found for her IS. 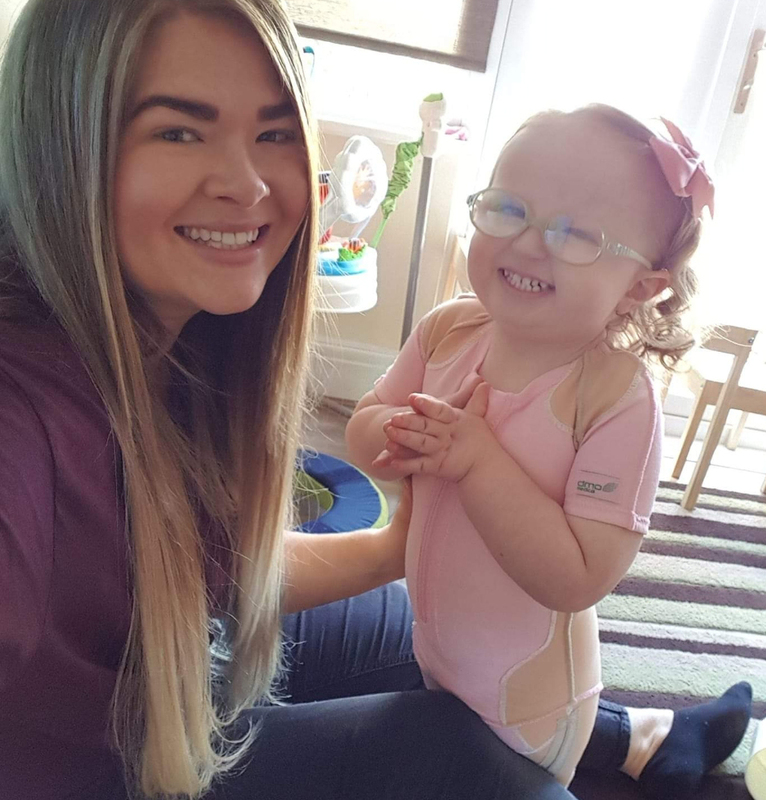 My family were absolutely devastated when she was diagnosed and the prognosis was bleak, and at the time there was no specific support for Infantile Spasms in the UK. We found the international IS groups on Facebook were a lifeline and through them met some other affected British families. We are so excited to have set up this charity with some of the wonderful people we have met on this journey. 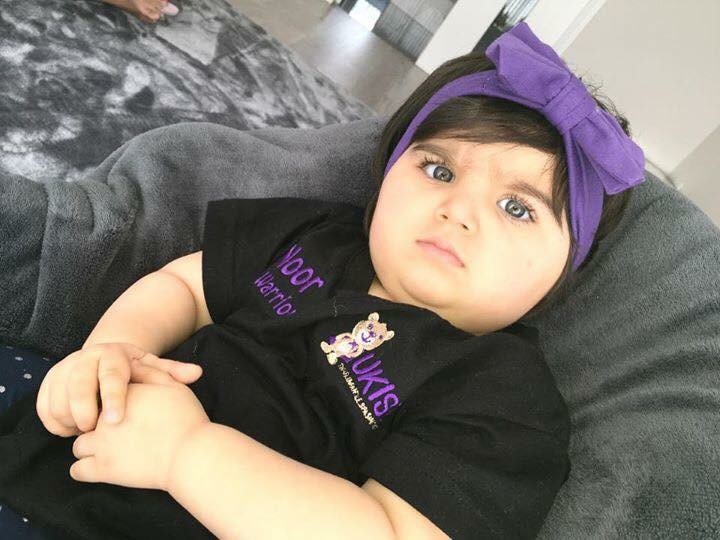 Bella was diagnosed with infantile spasms in May 2016 at six months old. We were very lucky in terms of diagnosis – as soon as the first cluster of spasms hit, we were in A&E, the consultant on duty saw the video we had taken on our phone and instantly recognised the condition. An emergency EEG confirmed the worst, but within 24 hours we were on steroids and a further 24 hours later, the spasm clusters had stopped. Bella didn’t have any relapse and so far, no further seizure types. We’re still quite behind in gross motor skills and speech, but she works really hard every day and has the most amazing character – people can’t help but love her, she has such an infectious personality. There was a time when I had never heard of infantile spasms or the devastating effects the condition can have. But however awful it is, the journey we have come on has led us to meeting these other amazing families and to where we are today, with this fantastic new charity! 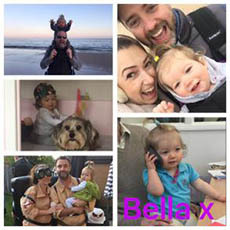 I can only hope something good comes out of something so awful – we still don’t know what the future holds for little Bella but for now we’re looking forward to raising awareness, offering support and helping fund research for this often misdiagnosed condition. Hi all I’m Lisa and this is my warrior Benji! He was first diagnosed with IS at four and a half months old. We noticed some off movements on the Sunday and after being told he had fatigue by our GP on the Monday we took him straight to A&E where he was diagnosed just a week later. He was put on prednisolone which seemed to work, stopping the spasms around three days of being on them. Only for them to return a month later with vengeance. So he had another course of prednisolone which worked very quickly. His EEG is still showing signs of other types of epilepsy and before Christmas he was showing signs of relapsing again so was put on vigabatrin. Hi, I'm Jade and this is Olivia. Olivia was diagnosed with infantile spasms at eight months old. We were very lucky that doctors at my local hospital recognised the spasms for what they were straight away and she was diagnosed and on treatment within a couple of days. 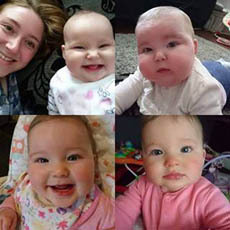 It took around six weeks to get the spasms under control so in those six weeks she was having around a hundred or more little seizures a day - little seizures with big consequences. Olivia has also since been diagnosed with a very rare chromosome disorder that is known as a 'Partial Trisomy 18’. Today, Olivia has a severe global developmental delay which means she’s delayed in all areas and aspects. She can't walk, talk or communicate in any way. Obviously, there is no way of knowing if Olivia's delays are linked to her chromosome duplication or the damaging affects the spasms had. She has recently started making more noises – in speech and language terms they are 'throat noises' and not many are the official noises they are looking for, but we are learning to recognise if they are happy or sad noises, as Olivia rarely expresses herself through a cry... she doesn't react appropriately to pain, even with things like injections. However, Olivia is an absolute ray of sunshine… she can make anyone smile and melt their hearts. People definitely have a soft spot for her. Everyone adores her and her beautiful smile and crazy hair. Olivia's two sisters are her best friends and at the ages of 7 and 16 months they help her in so many ways and it’s lovely to see them all together. Only just this week Olivia has learnt to sit herself up - something we have been working towards in physio for a long time – although she’s not too stable sitting on her own just yet. The doctors didn't give a great prognosis for Olivia's future when she was first diagnosed, but what one doctor did say was to just forget all expectations of her and her future and just enjoy her for who she is. At the time I thought no, no, she will be fine, she will catch up in no time. But I have learnt to just take the days as they come. I encourage Olivia and I do her physio exercises everyday but I don't think, "Why isn't she doing this yet!" I just think, "I can't wait for the day she does this and how amazing it will feel that our hard work shows"
Hello everyone, I’m Bex and I’m the proud mummy of Luna. 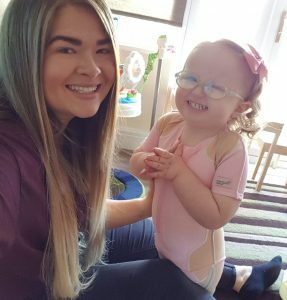 She was diagnosed in September 2016 at four months, but she was having seizures from as early as eight weeks old. Unfortunately it was misdiagnosed as Startle Reflex a number of times. Luna had a successful course of Prednisolone and has been seizure free since November 2016. Since her diagnosis, as a family we have had an amazing amount of support both medically and personally and finding the IS support group gave us so much hope and knowledge and continues to do so. Luna is now on track with her development after some slight regression prior to diagnosis and treatment, but there is hope for us all. I’m so proud to be part of an incredible team and to meet people who are as passionate about raising awareness of IS, so that families in the future won’t feel so alone. Hi. 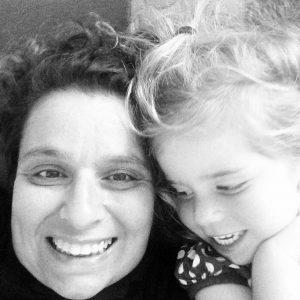 I’m Clare and this is me and my little warrior Jenson. Jenson is 19 months and my youngest fourth child and we live in Manchester. 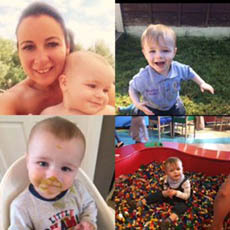 Jenson was diagnosed with Infantile Spasms at 5.5 months. I’d been back and forth to GPs & health visitors for over two months questioning his “strange movements” during this time any skills he had learnt he had lost. It was when he regressed that it made me sit up and realise something wasn’t right and I took him to A&E. We was diagnosed after an EEG and started medication (prednisone) the very next day. I saw a huge improvement in him almost immediately, to see my son smile again for the first time in what felt like months was overwhelming. After a blurry week in hospital of tests, poking and prodding, firing questions and gaining no answers, it finally hit me what was happening to my boy and I was lost. I felt so alone and scared. I looked for help and came across an international support group where I met these incredible ladies who all gave me hope, support, advice and lifted me from that dark place. I felt incredibly grateful that these women were giving me their time and support to help me. I knew then I wanted to help others in the future. I’m beyond proud to be apart of such an amazing cause with these ladies. Jenson is delayed in all areas, but is catching up quickly. He’s my hero! UKIST is part of something bigger! In September 2018, UKIST became an official partner in the Infantile Spasms Action Network (ISAN). The Infantile Spasms Action Network (ISAN) is a collaborative network of over 25 international charities and organisations dedicated to raising awareness for infantile spasms. The network was convened by US charity the Child Neurology Foundation (CNF) in response to a need to improve awareness of the symptoms and impact of infantile spasms. Its activities centre around Infantile Spasms Awareness Week, which takes place every year from 1-7 December. The network's origins date back to 2015, when the CNF partnered with the Tuberous Sclerosis Alliance (TS Alliance) to lead a multi-year awareness and education initiative. In 2016, CNF convened two forums that brought together epilepsy advocates and leaders from provider member societies. The group discussed a comprehensive strategy to raise IS awareness, and today, the Infantile Spasms Action Network was born.